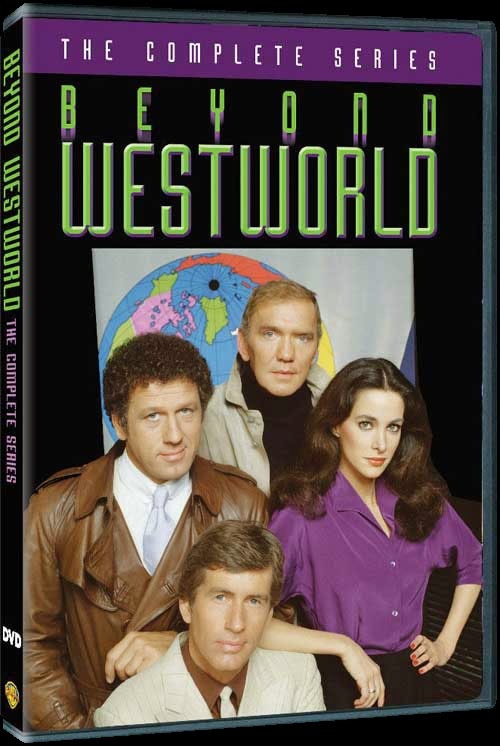 The complete, short-lived 1980 television series, Beyond Westworld, is now available on DVD from the fine folks at Warner Archive. 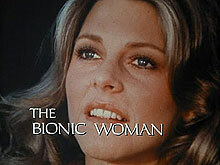 This series was a sequel to/continuation of the 1973 Michael Crichton film, Westworld, and posited that after the meltdown at the infamous Delos resort, a scientist (James Wainright) absconded with a bunch of the lifelike androids and planned to use them to conquer the world. Delos Security agents John Moore (Jim McMullen) and Pamela Williams (Connie Selleca) are tasked with hunting him down and foiling his evil schemes. 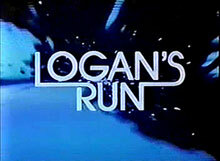 The show only had five episodes (and was cancelled after three). The pilot film was included on the semi-recent Westworld Blu-ray a couple years back, but this marks the first time that the complete series has been available on home video in the U.S. At the moment, the DVDs are only available from the Warner websites, but it should be available through Amazon in a couple of weeks. 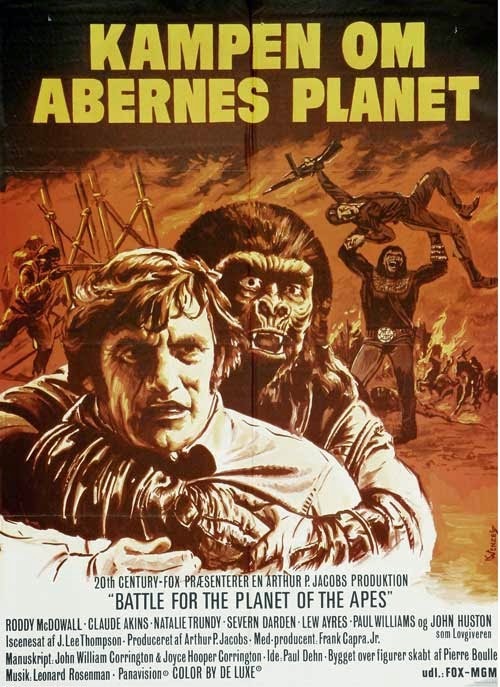 I can't imagine why, but I've had the Planet Of The Apes franchise - and specifically, 1973's Battle For The Planet Of The Apes - on my mind the last few days. Anyway, that prompted me to dig up this selection of Battle one-sheets from around this planet. They pretty much all feature the same basic image... but there are some interesting variations. Enjoy -- and have a great week! 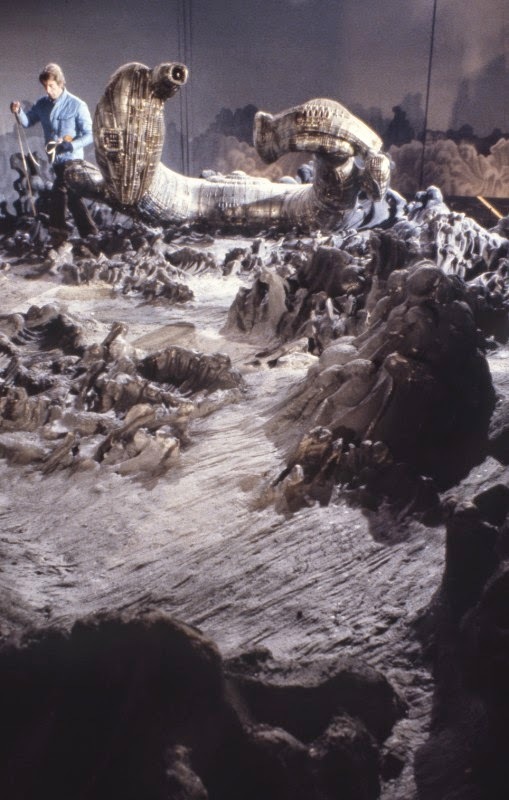 An effects technician (possibly Jon Sorensen) works on the otherworldly derelict miniature from Ridley Scott's classic 1979 space horror flick, Alien. 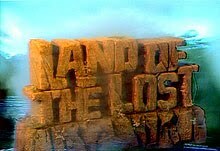 As you may have noted by now, I'm a huge fan of practical effects work - especially miniatures - and I find these kinds of behind-the-scenes shots fascinating. On September 16th, Kino Lorber will be releasing the 1979 American-International disaster "epic," Meteor, on high-definition Blu-ray disc. 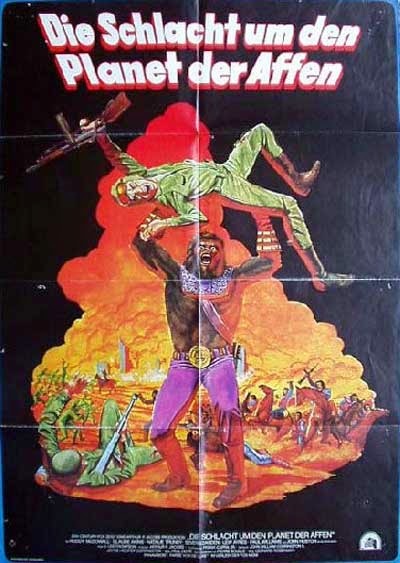 This Ronald Neame-directed tale of death from above features an all-star cast, including Sean Connery (Zardoz), Natalie Wood, Henry Fonda, Martin Landau (Space: 1999), Trevor Howard, Karl Malden, and Brian Keith. 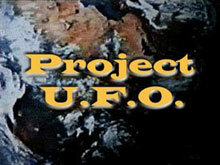 A brilliant scientist, Dr. Paul Bradley (Connery) is summoned to Washington by NASA chief Harold Sherwood (Malden), who informs him that a huge meteor will smash into earth in six days. The only chance to destroy the meteor is to work with the Soviets, revealing to them top secrets. But as the clock is ticking, fragments of the meteor split off and come crashing to earth, causing enormous damage. And as avalanches and tidal waves take a devastating toll, Bradley works against all odds to eliminate the greatest threat the world has ever known. 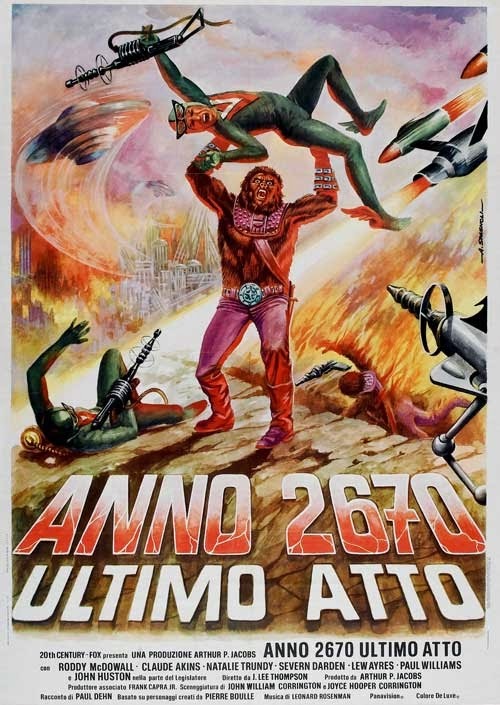 Despite a huge PR campaign and plenty of sci-fi elements, the relatively big-budget Meteor flopped at the box office, and took American-International pictures down with it, but I've always enjoyed it for what it was. 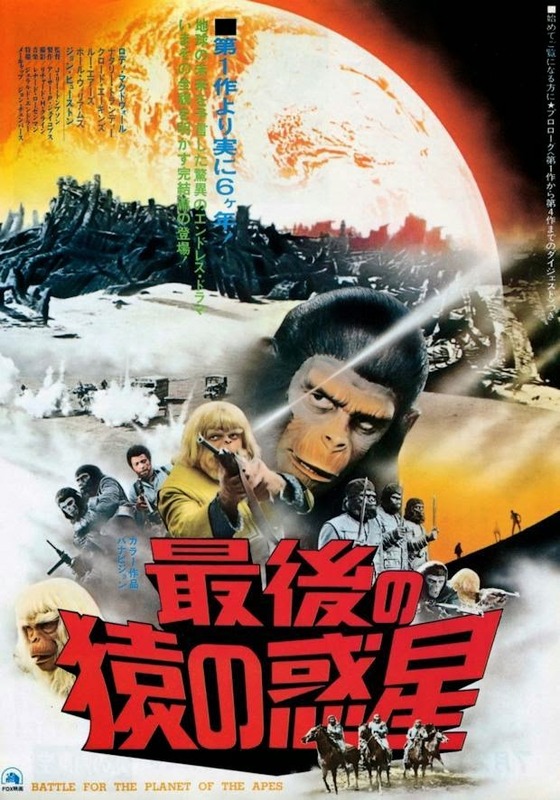 It's not a great movie, by any means, but it's entertaining. 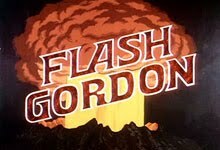 As I've noted here on the site before, for what was, essentially, just another Irwin Allen-styled disaster flick, the movie generated a lot of tie-in merchandise aimed at the adolescent Space: 1970 crowd: a Marvel Comics adaptation and Warren souvenir magazine, a Viewmaster reel, even an arcade pinball machine. The Blu-ray is already available for pre-order online. 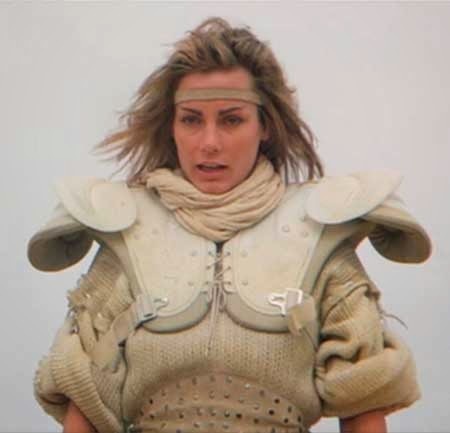 July's Space Babe (and the first of 2014) is the striking Virginia Hey as Warrior Woman in 1981's Mad Max 2 (a/k/a The Road Warrior). 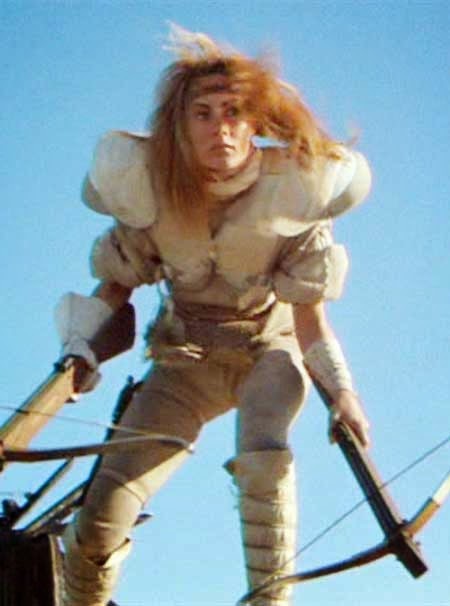 A woman of few words, this post-Apocalyptic amazon wielded her deadly crossbows in defense of her desert community, and gave her life to secure their survival. Born in Sydney, Australia in 1952, the lovely Hey was a model before launching her acting career with Mad Max 2. She went on to star in several Australian television series, while also making appearances in numerous feature films, such as The Living Daylights. In 1999, she returned to the sci-fi genre with a co-starring role on Farscape, where she portrayed an alien priestess named Pa'u Zotoh Zhaan. In recent years, she has been focusing her talents on a line of perfumes and aromatic candles. Her official website: Virginia Hey. I haven't done one of these round-up posts since last November. Man, I've really been slacking off, huh? Anyway,you may have noticed that I've been posting a little more frequently of late, and it's my plan to to get back to somewhat regular updates here on the blog. I doubt I'll be posting daily again (there was a while there when I was posting twice a day! ), but I'll try very hard to get in at least a couple posts a week. In fact, look for a new "Space Babes" post on Friday. 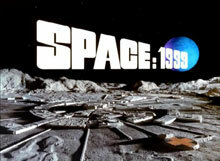 I want to thank the few loyal readers who generously donated to the Space: 1970 editorial fund (link in the sidebar) over the last few months. I am incredibly grateful, and feel guilty that I didn't post more. I hope to rectify that over the coming weeks. 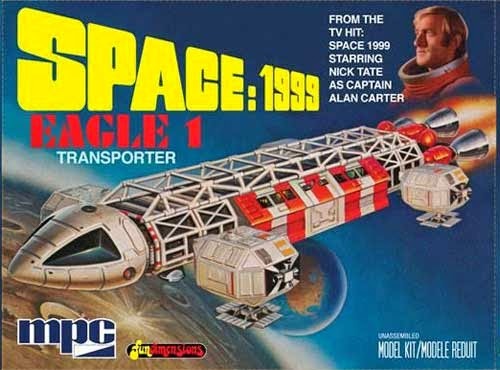 As an early birthday (coming up next week) gift, my wife picked me up one of the recently re-issued Space: 1999 Eagle Transporter kits from Round 2 models. This is a replica of the original MPC/Fundimensions kit from the 1970's, and I'm thrilled to have it again. 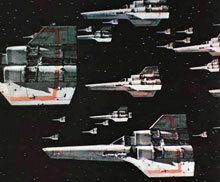 (I hope they re-issue the Hawk Interceptor soon!) 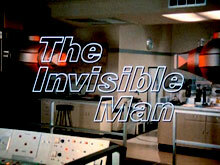 I also recently picked up the fifth and final season of The Six Million Dollar Man on DVD, and have been really enjoying revisiting it. 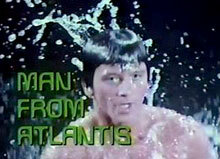 Steve Austin spends a lot more time as an astronaut this season - even returning to the moon - and there are rematches with Bigfoot and a new Death Probe. Plus aliens. So, you know, all the good stuff. 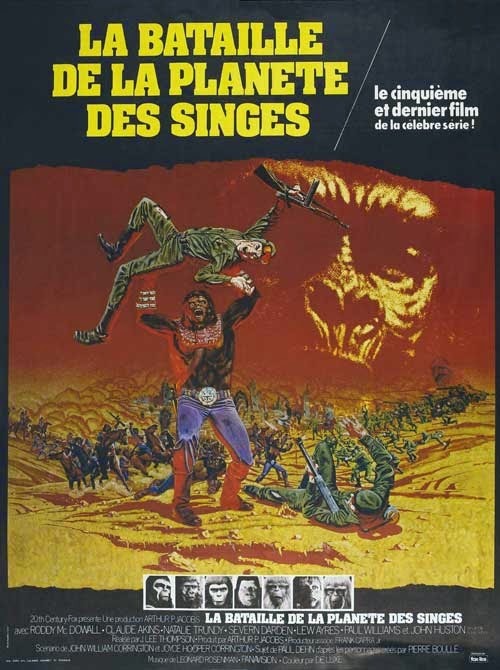 • On Video: As noted in previous posts, the 1983 Roger Corman-produced Space Raiders is due out on DVD and Blu-ray in August from Scorpion Releasing. 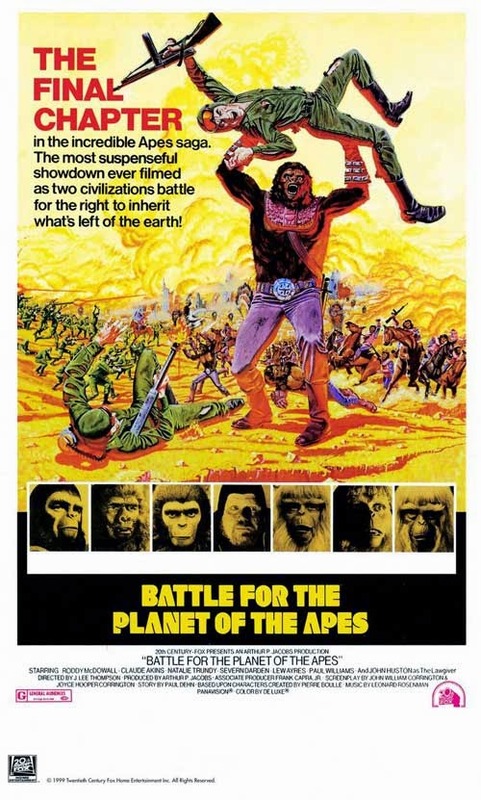 It's a fun flick, full of recycled effects footage from Battle Beyond The Stars (and, I think, 1982's Android), and I'll enjoy having a copy in my library. 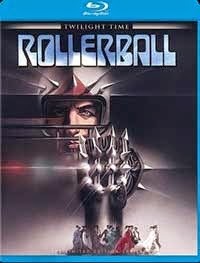 I missed it, but 1975's Rollerball was released a month or two ago on Blu-ray by Twilight Time. Unfortunately, it was a limited edition, and has sold out from the company. That's disappointing, because I really would have liked to pick up a copy. 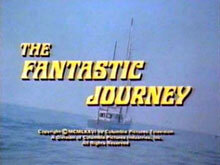 Suddenly, I'm also thinking that I've forgotten another upcoming 70s sci-fi release. I really should start making notes. UPDATE: I was right. I did forget something. 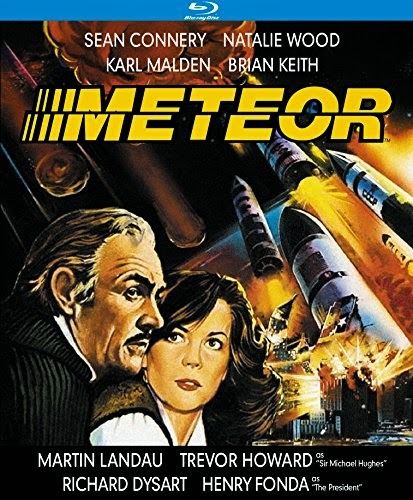 Kino Video will be releasing a Blu-ray edition of the 1979 disaster flick, Meteor, in September. I'll post more info on this release soon. • Shameless self-promotion: Finally, I'm still working on my sci-fi adventure webcomic, Perils On Planet X, which is illustrated by the talented Gene Gonzales, and colored by the equally-talented Ian Sokoliwski. It runs a page a week, with a new one posted every Friday, and it's absolutely free. 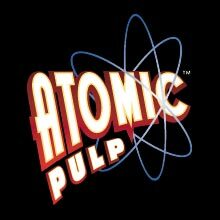 We're closing in on the end of the first story arc, and the story is blasting along like a rocket, packed with Flash Gordon/John Carter-styled pulp thrills. I hope you'll check it out, if you haven't already.